Is there anything more quintessentially British than a gift of a teapot? These beautiful items are not only wonderfully practical for making your daily brew, they’re also highly sought after decorative pieces of British pottery, with some lovely quirky designs sitting alongside the more traditional examples. 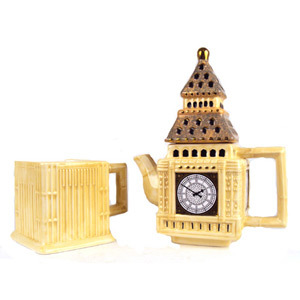 Delight your friends with a truly English treat, and they’ll soon be able to make a cuppa in the proper British fashion!